Cedar Mountain is a well-known name in the Northwest region of the United States, as we have been proudly providing American-made spa covers to customers in Missoula, MT for more than 35 years. In addition to our two main facilities in Kent, WA and Hayden, ID, there are more than 150 dealers across the United States, ready to bring you a quality product and excellent customer service. This includes multiple spa cover dealers in Missoula. Spa covers are a necessity in order to keep your spa safe, clean, and looking pristine, at all times. 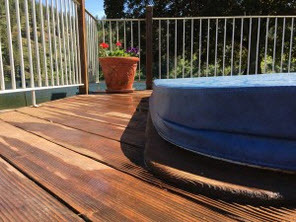 To find a Cedar Mountain spa cover dealer in the Missoula area, visit the Dealer Locator. Interested in becoming a spa cover dealer in the Missoula, MT area? To find out more about the company, and to learn how to become a valuable part of the Cedar Mountain team, please call: 208-772-9176, or fill out the “new dealer registration form”, and we will contact you with more details. 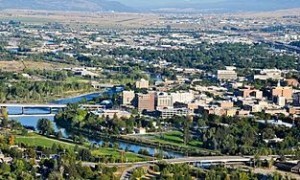 Situated in the heart of the western part of the Rocky Mountains, the city of Missoula is a perfect blend of small town charm and “big city” sophistication. Outdoor recreational fun is an art form for many people. There are tons of opportunities to enjoy rafting, biking, hiking, and skiing. In addition, this town offers poetry readings, a night at the gallery, plays and musical concerts, for all to enjoy. Fun activities and exciting excursions are never in short supply in Missoula. For instance, the Carousel for Missoula has a loving and rich history, as it is the result of the community bonding together, to reach a common goal. Back in 1991, Chuck Kaparich (a local cabinet maker) promised the city council that he would build the town a carousel. In the beginning, this carousel plan consisted of only four horses, carved by only Mr. Kaparich. By the time the carousel opened to the public in 1995, more than 100,000 volunteer hours had been donated, into creating 38 horses (with three replacements), as well as 14 gargoyles, two chariot frames, and a band organ. In addition to time dedicated to the making of the ponies, the entire community pulled together to make this dream a reality. Countless contributions of material, time, service, and endless amounts of encouragement were shared, so that this treasure can be shared by the entire community. A Carousel for Missoula is opened every day during the year (except Christmas Day), and it is available for private party rentals. 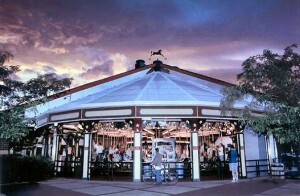 The Carousel is located at: 101 Carousel Drive, Caras Park, in downtown Missoula. For more information, call: 406-549-8382 or visit their website. If a more intense physical activity is your speed, then some great locations to visit would be: the “Currents Indoor Waterpark”, that is opened all year round; “Splash Montana”, opened during the summer months only, and the “MoBASH Skate Park” is available for all skateboard lovers. Some other great attractions include, the “Smokejumper Center” and “Montana Natural History Center”. Glacier National Park is about three hours north of Missoula, and Yellowstone National Park is a four hour car ride, to the south of Missoula.